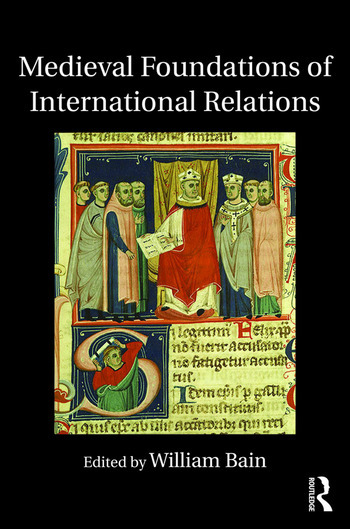 The purpose of this volume is to explore the medieval inheritance of modern international relations. Recent years have seen a flourishing of work on the history of international political thought, but the bulk of this has focused on the early modern and modern periods, leaving continuities with the medieval world largely ignored. The medieval is often used as a synonym for the barbaric and obsolete, yet this picture does not match that found in relevant work in the history of political thought. The book thus offers a chance to correct this misconception of the evolution of Western international thought, highlighting that the history of international thought should be regarded as an important dimension of thinking about the international and one that should not be consigned to history departments. what is the medieval influence on modern conception of rights, law, and community? how have medieval ideas shaped modern conceptions of self-determination, consent, and legitimacy? are there ‘medieval’ answers to ‘modern’ questions? is the modern world still working its way through the Middle Ages? to what extent is the ‘modern outlook’ genuinely secular? is there a ‘theology’ of international relations? what are the implications of continuity for predominant historical narrative of the emergence and expansion of international society? Medieval and modern are certainly different; however, this collection of essays proceeds from the conviction that the modern world was not built on a new plot with new building materials. Instead, it was constructed out of the rubble, that is, the raw materials, of the Middle Ages.This will be of great interest to students and scholars of IR, IR theory and political theory. William Bain is an Associate Professor in the Department of Political Science, National University of Singapore. His research engages questions of international political theory and Internationa Relations Theory, with a specific focus on the theological foundations of international relations.